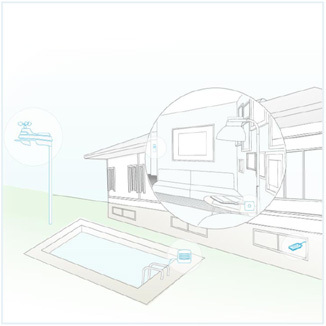 AcuRite® Access™ connects your environmental monitoring solution to My AcuRite, where you can monitor conditions in and around your home — anywhere, anytime using your smartphone, tablet, or computer. 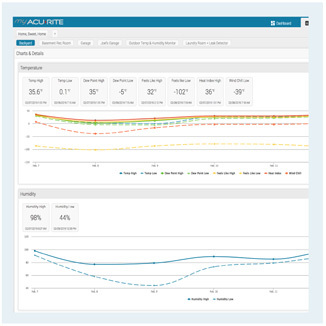 More than monitoring, My AcuRite lets you create custom alerts about changing conditions that need your attention — such as increased mold risk, water leaks, or changing wind and rain conditions outside the home — delivered to you through email and phone alerts. Each AcuRite Access can connect up to 7 compatible sensors. Add more AcuRite Access units to increase your number of allowable sensors. 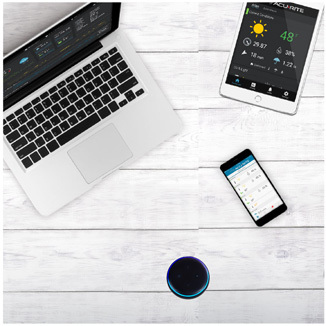 Download the free My AcuRite App and monitor from a smartphone or computer; enable the Alexa skill on your smart speaker; or, stream through Weather Underground. Receive an email or phone alert when conditions change beyond your custom set ranges. Reduce the risk of damage from water leaks, high humidity, freezing pipes, and more. View historical data via charts, graphs, high and low records, and more. Downloadable for serious number crunching. Temperature probe measures liquid, soil, or pipes. Simplify your weather monitoring with Alexa. Uploads the latest readings from your connected AcuRite devices every 5 minutes. Protect your data even during a power or internet outage, with backup batteries that allow AcuRite Access to continue receiving and storing up to 12 hours of readings; once power or internet is restored, it will upload these readings to My AcuRite. My AcuRite saves 31 days of readings from each of your connected devices, allowing you to identify emerging trends in the locations you are monitoring. 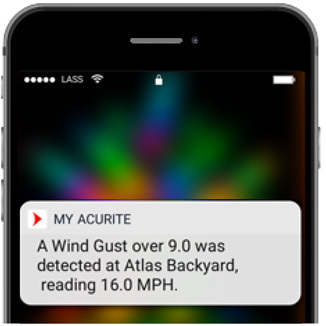 With a compatible outdoor AcuRite device, you can share your weather information with Weather Underground using Rapid fire updates.